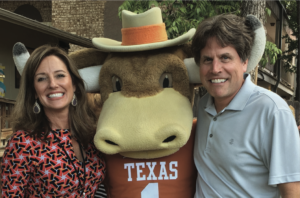 Holly Engleman (left), UT-UCS principal, and Ted Keyser, executive director of Helping Hand Home for Children, smile for the camera with UT mascot Hook ‘Em. Just a few miles away from the sprawling UT Austin campus, there’s a tidy little playground surrounded by portable classrooms. Children giggle and shout as they dangle from monkey bars and a scoot down a shiny blue slide. Looking at this familiar scene of carefree youth, it’s hard to believe these children have endured significant hardships in their young lives. Unable to remain safe in a home setting, they reside at Helping Hand Home for Children, a residential treatment facility that provides therapeutic foster care and adoption services for abused and neglected youth. 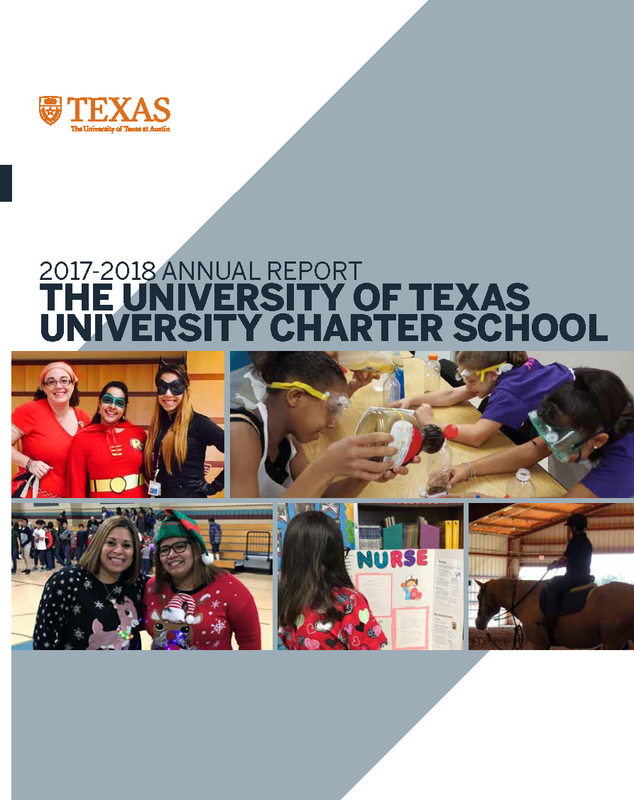 In 2008, the facility opened a UT-UCS charter school to cater to their unique education and behavioral needs. They have faced a level of adversity that many adults wouldn’t be able to handle, says Holly Engleman, principal of the on-site charter school. Yet despite their situation, they’re remarkably resilient. With a highly qualified team of faculty, staff, volunteers and student teachers, the school is well-equipped to meet the needs of every student. Many of whom are experiencing rules and structure for the first time in their young lives. In small classrooms, the students learn how to work together in hands-on activities. They also go out on field trips to museums, parks and historic landmarks around the city. Enrichment activities also include a mentoring program with Austin Police Officers, and Discovery Time, an eight-week summer program that expands reading, math and science skills through experiential learning. When they’re showing significant progress, students can attend local public schools while still residing at the facility. The best part of the job, Engleman says, is watching her students move toward that goal. APD officers at the facility’s open house event on Sept. 14, 2016. Engleman recalls another student who, like many of her fellow classmates, was hoping to return home to her mother. After making so much progress in school, Engleman was worried that the young girl would backslide when she found out that her mother surrendered her parental rights. Every day Engleman draws inspiration from both her students and her tireless team of faculty and sta . She is also thankful for the Helping Hand Society, a committee of volunteers who play a key role in supporting the entire campus community by planning and funding a host of extracurricular activities.